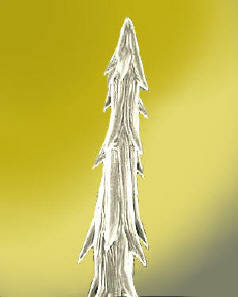 Glochids are very sharp specialized short hair like spines, they are barbed at the tip, often occurring in tufts and deciduous ; They are a defining characteristic, only of the subfamily, Opuntioideae, of the family Cactaceae. 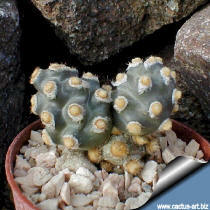 Not present on other cactus genera. (Tephrocactus molinensis) Their name derives from the Latin word “glochidium” a “barbed hair of a plant”. Glochids are detachable and break away very easily and quickly become embedded in skin or clothing, they are strongly hurtful..